Everyone is looking for that magic hair product. Seriously we all want to know what products will make our hair appear healthier, what products will keep our hair moisturized, what products will make our hair grow faster, etc. This is so important to us that the term “product junkie” has become widely popular! How important is it to find the best product for your natural hair? It is important, but it has it’s own special place in a hair routine. I don’t completely rely on hair products to determine the health of my hair, I don’t completely rely on hair products to grow my hair or help me to retain length. Products for me is more like an extra special treat added on everything else I’ve already done to care for my hair. It’s more like a styling tool. I use it to enhance what I already have. If products are not primary for your regimen, what is? I am more focused on methods and routine. We’ve heard it all before, proper hair care. How often do you do these things? Are you consistent? Are you gentle? After you have a plan for the things above that I like to refer to as the “basics of hair care” then you can enhance with products. 5.) Gel if applicable, hair bands, scarfs, flowers, anything you want to use for hair accessories. 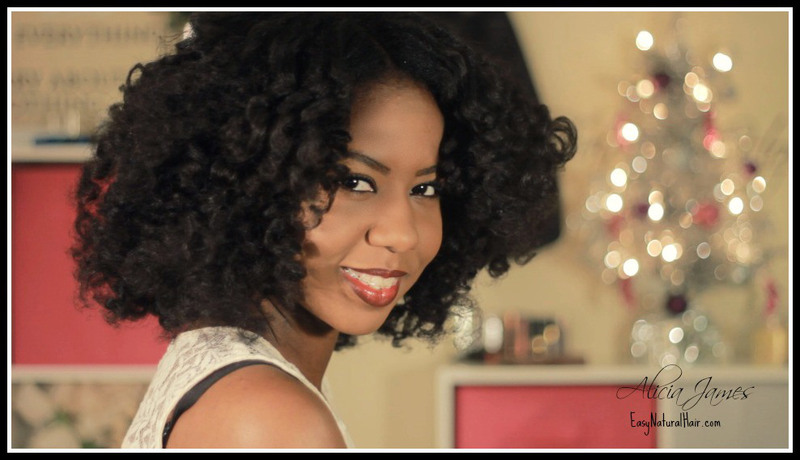 How To Find The Best Product For YOUR Natural Hair? You need to know and understand YOUR hair. I always talk about “Building a Good Relationship With Your Hair”. The truth is no one knows your hair better than you. Your hands are in your hair almost everyday. The products that work for you are going to depend on what you know about your hair. Okay, so once you know the information you need to know about your hair, you can start to put together a solid regimen and your staple products. I want to make this as simple as possible so I will stick to the basics of what has helped me. I have low porosity hair, my elasticity is pretty good, and I am someone who uses heat regularly at least once a week. I don’t have any type of chemicals including color in my hair. Overall my hair is in good shape. 1.) When it comes to shampoo I use a no sulfate shampoo weekly. I have low porosity hair so product can really build up on the strands, so I also clarify at least once every 1-2 months. To clarify I just use a shampoo with sulfates. 2.) I always condition after I shampoo. With low porosity hair the cuticles are tightly closed making it difficult for the strands to absorb moisture I apply regular conditioner and then add extra virgin olive oil to my hair. I then sit under a heated dryer for about 15-30 minutes. The heat gently lifts the cuticles so that the moisture is absorbed. 3.) I leave a little bit of my extra virgin olive oil in my hair. Then I add a light leave in. Most low porosity hair does not respond well to thick leave ins and butters. It just makes the hair feel extremely dry no matter how much product you pack on. 4.) I always detangle on soaking wet hair. I use Aunt Jackie’s Instant Detangling Leave In. This gives me a little slip during my detangling session. The slippery the hair is, the easier it is to slide the wide tooth comb through or my fingers. 5.) For styling I don’t add anything else to my hair. I just use the leave in and style as desired. For me the less products I have the easier my hair journey is. This way if something does stop working or goes wrong, it is easier to figure out what the culprit is. The tips to finding your hair product does not include the latest, greatest, and most expensive products. None of this matters when picking products for your hair. Usually the products with the most hype offer the least results sadly. Learn your hair and stick to what YOU know works regardless of the rules. If your hair is healthy and happy you are going in the right direction. HeraHair.com is the best human hair full lace wigs, lace front wigs, Jewish women wigs, Toupees, Keratin hair extensions, Hair weaves, Clips in hair extensions, Tape hair extensions, Micro ring hair extensions, Braiding hair extenions，hair styling tools and eyelash extensions manufacturer and wholesaler in Qingdao, China. Welcome you to contact Hera for wholesale and retail hair business. How To Do Lace Front Wigs Professional Application? What to do about thinning hair? Why Are My Hair Extensions Very Dry after Several Washes?